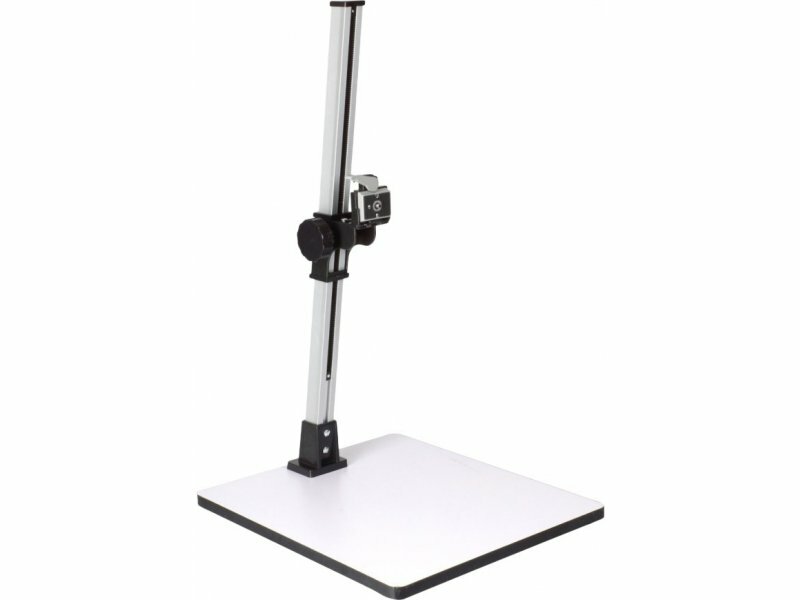 Repro stand with matte white baseplate. 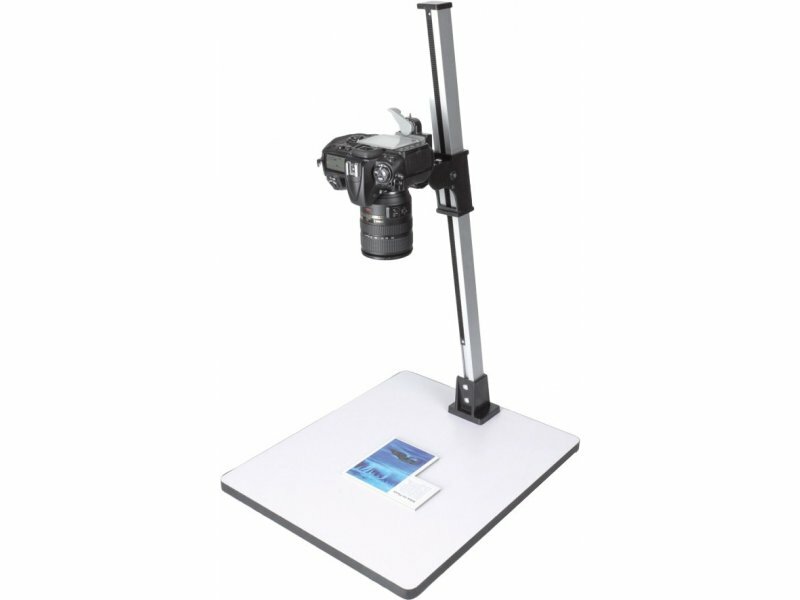 Ideal for digitizing photos, cutouts and other material with your camera. 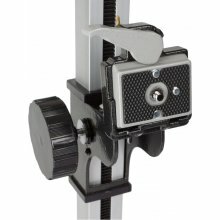 Camera height easily adjustable thanks to handy screw drive. 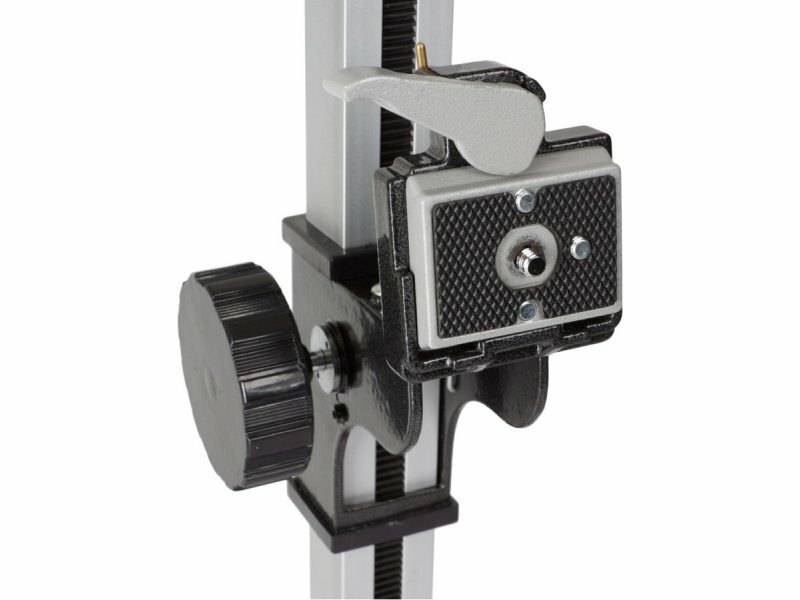 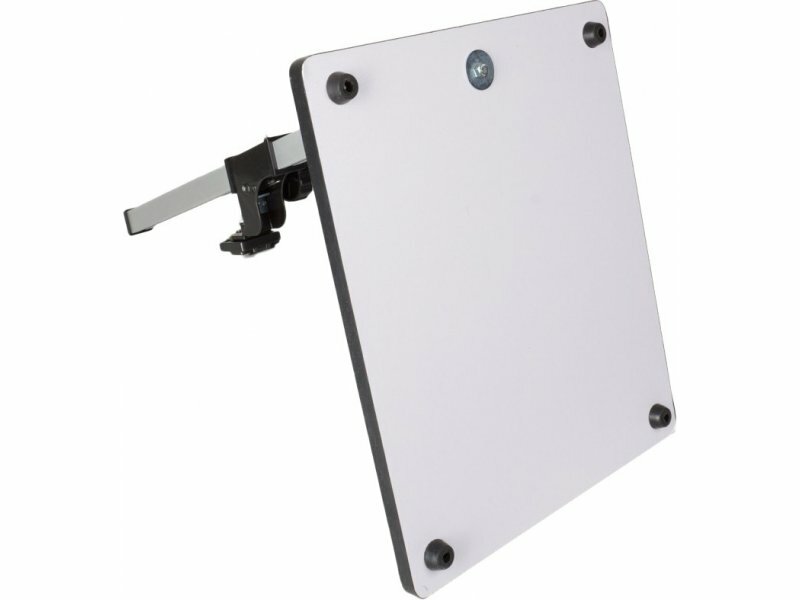 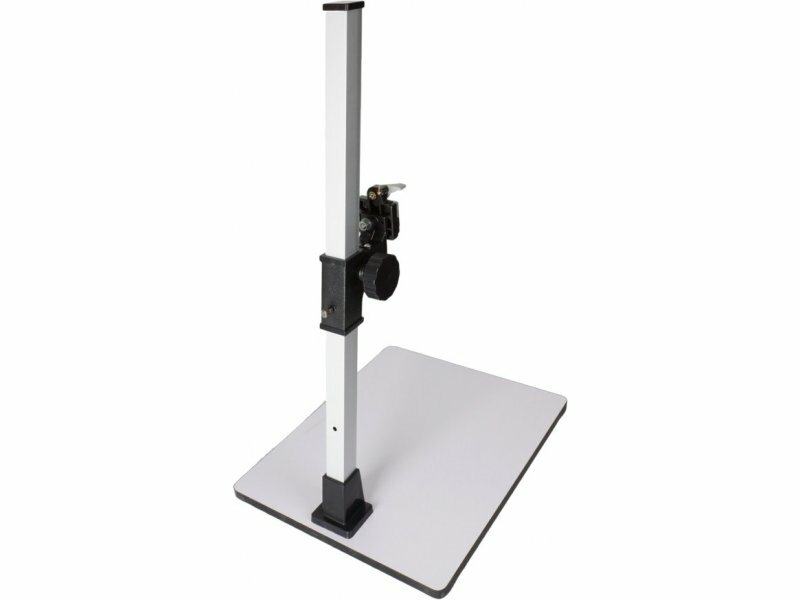 Uses common 200PL-14 quick release plate.